TRAVEL GEAR REVIEW: Millerton Aquaventure 20L Dry Bag, "Keeping your Travel Gadgets Safe and Dry"
One of the must-haves when traveling in the outdoors is a dry bag. It's an important and useful travel essential that I always bring on my travels and adventures. 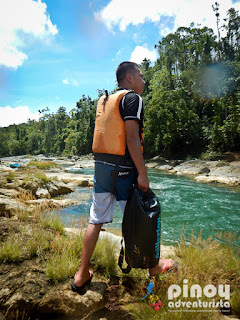 Be it climbing a mountain, kayaking, spelunking, island hopping, beach bumming, boating, chasing waterfalls, river crossing or just about any activity that there are chances that I would get wet. Last summer, Kimstore sent me an Millerton Aquaventure 20L Dry Bag for me put into test. 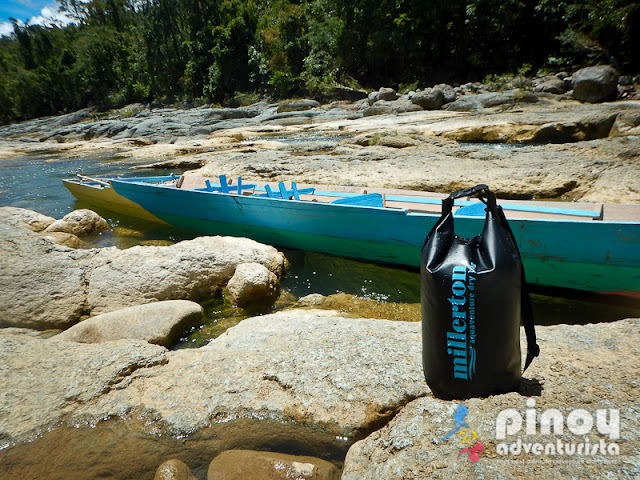 The package includes a large 20L dry bag, a quick-dry attachable shoulder strap and a free 1.5L dry bag. Space-saving: fits into any bag, luggage and carry-on case! I took the Millerton Aquaventure 20L Dry Bag into test during my trip in Samar last April. 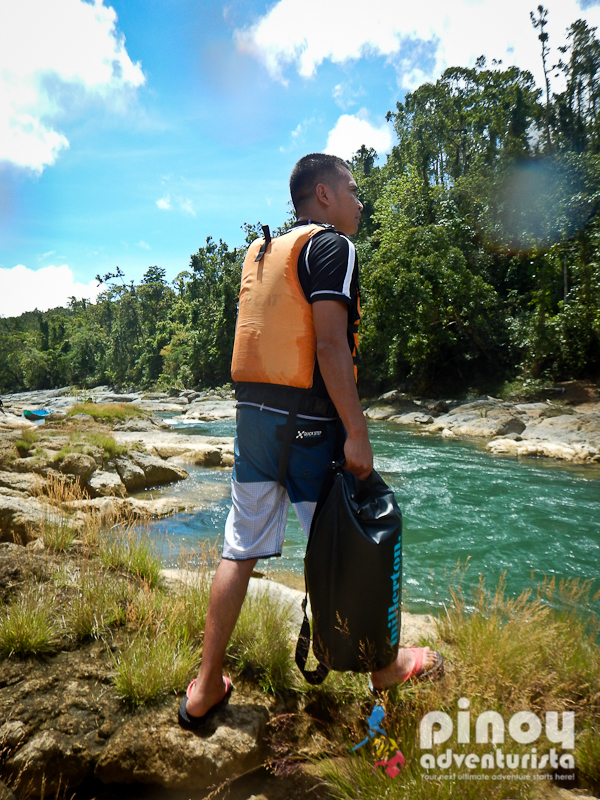 I used it as we experience the Ulot River Torpedo Boat Extreme Ride where we got really wet - but not our gadgets! 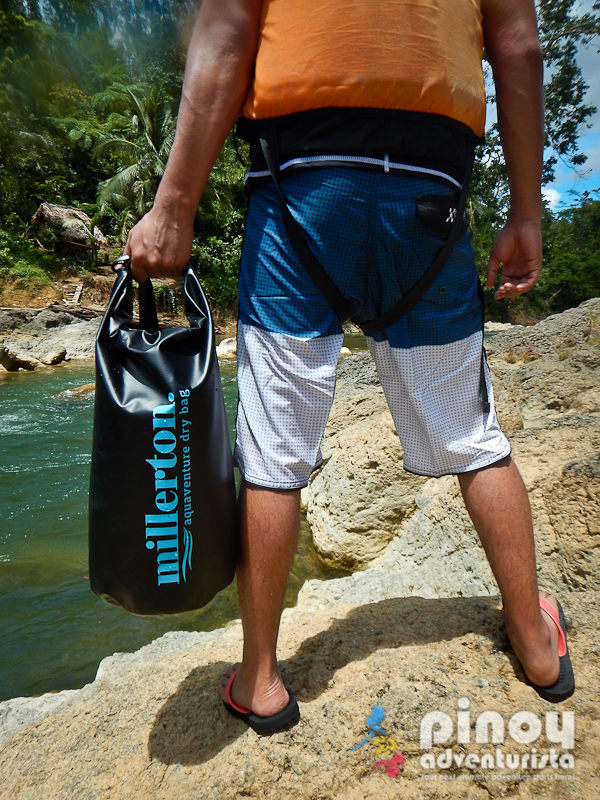 Thanks to the heavy duty and durable construction of the Millerton Aquaventure 20L Dry Bag. 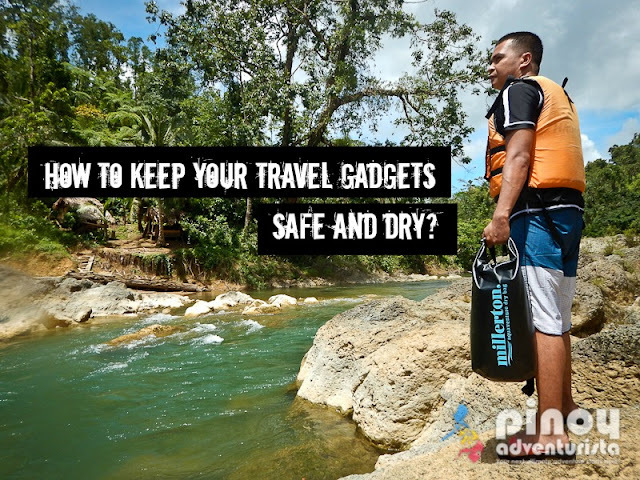 Its water-proof material kept all our stuff such as clothes, mobile phone and cameras nice and dry. 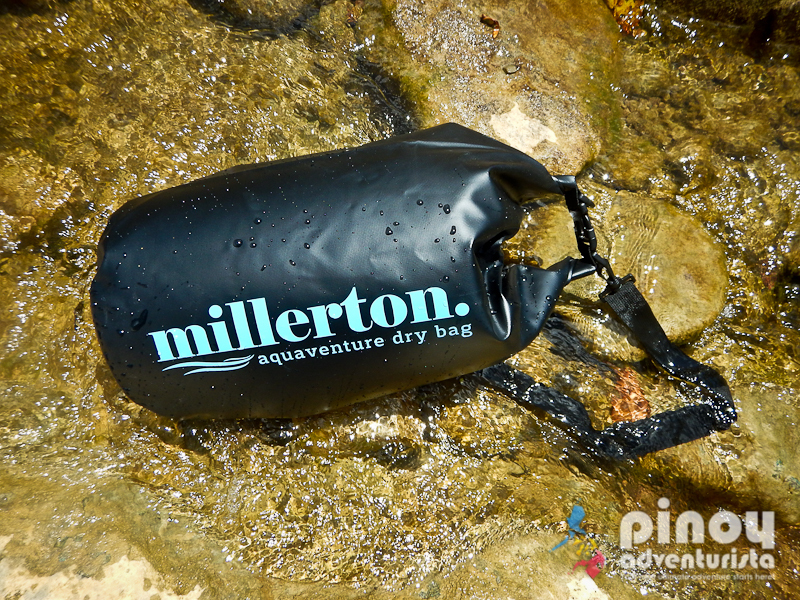 What I also love most about the Millerton Aquaventure 20L Dry Bag is its size. Its 20L capacity can hold a huge and heavy DSLR as well as other stuff that I need to bring on any adventure in the outdoors. Its rugged and tear-resistant outer skin makes it suitable for rough usage, so you won't have to worry for it getting torn or damaged. But still, with any dry bag, use it with caution. I'm sure it will also get torn through time. But I think, it would take a long time for this one. 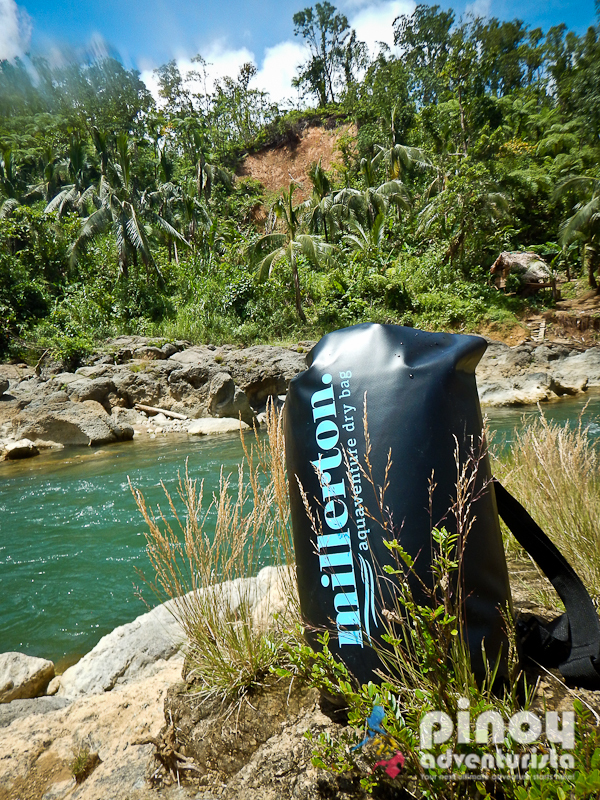 Take a look at this video where I crossed Ulot River with the Millerton Aquaventure 20L Dry Bag attached to my body. Even with a heavy DSLR and other stuff inside, the dry bag still floats and indeed kept my stuff dry! Just be sure to put some air inside. Overall, I am totally satisfied with the performance of my Millerton Aquaventure 20L Dry Bag! It's durable and does what its made for - keeping my most precious travel essentials inside the bag safe and dry. I'll definitely use it again in my future travels and adventures! With an affordable price tag of Php 999.00 pesos, it is definitely a bang for the buck and certainly much cheaper compared to other dry bags in the market. You can buy it online from Kimstore via this link. 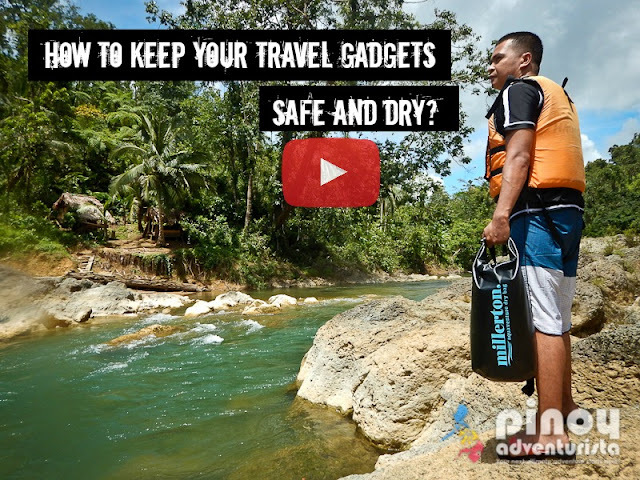 Don't let your gadgets get wet! 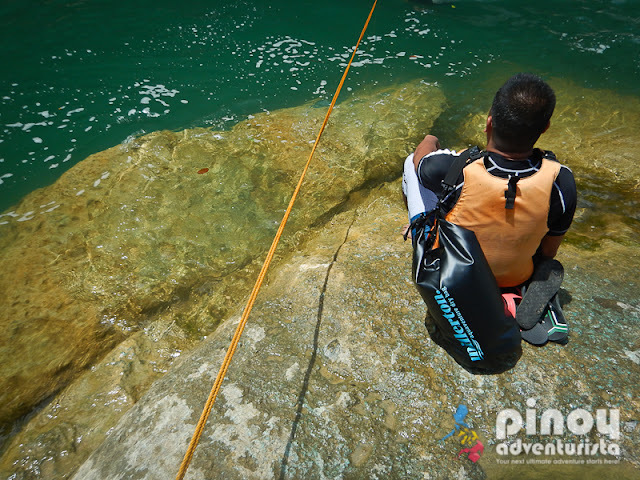 Use a dry bag! 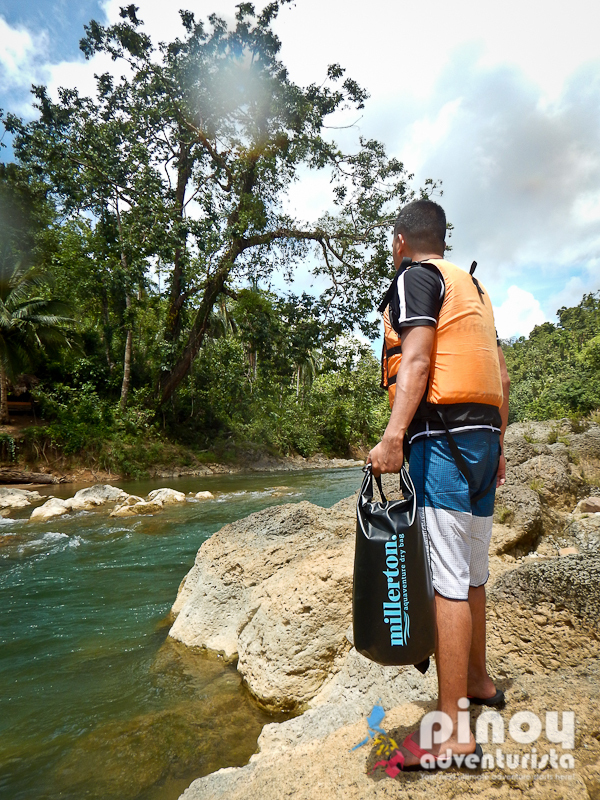 It's your best weapon in any outdoor activity without worrying about your stuff getting wet! 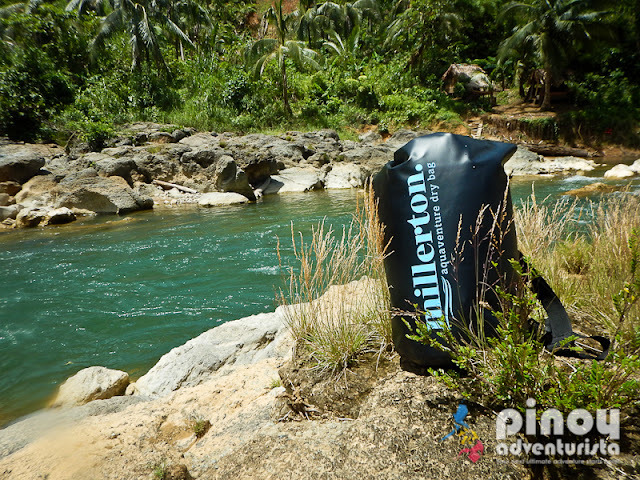 Kimstore sent me this Millerton Aquaventure 20L Dry Bag for the purpose of this review. All the comments and views expressed are mine and were not influenced by the company. All photos taken with Nikon Coolpix AW 120. Thanks for this great opportunity. 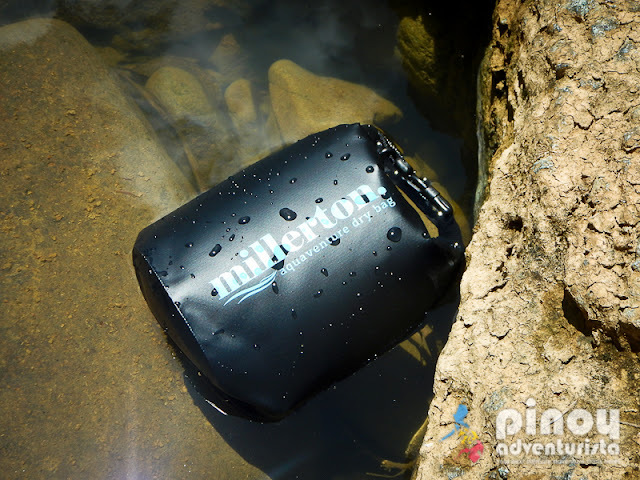 How about waterproof smartphone pouch?